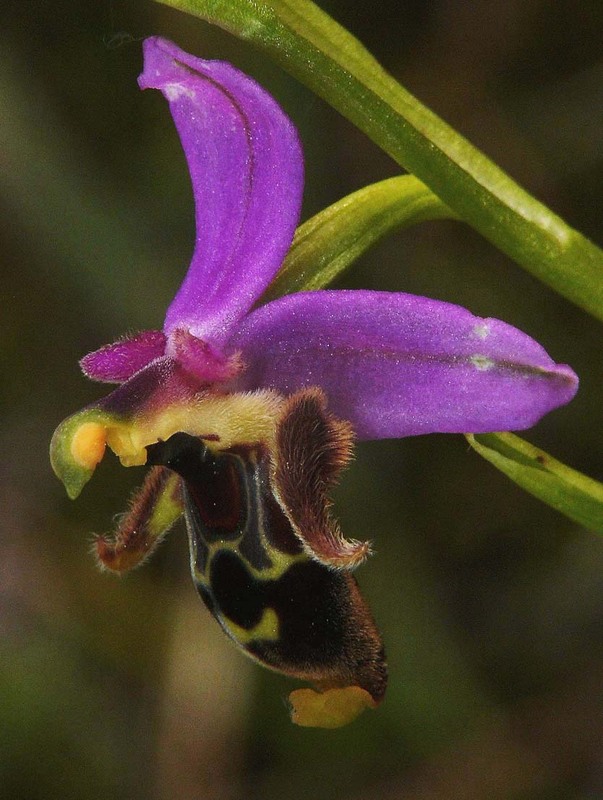 O. schlechteriana was first described from Attica (Greece) in 1927 and is a member of the O. heldreichii group of Ophrys. It is named in honour of the late 19th century German botanist, R. Schlechter. 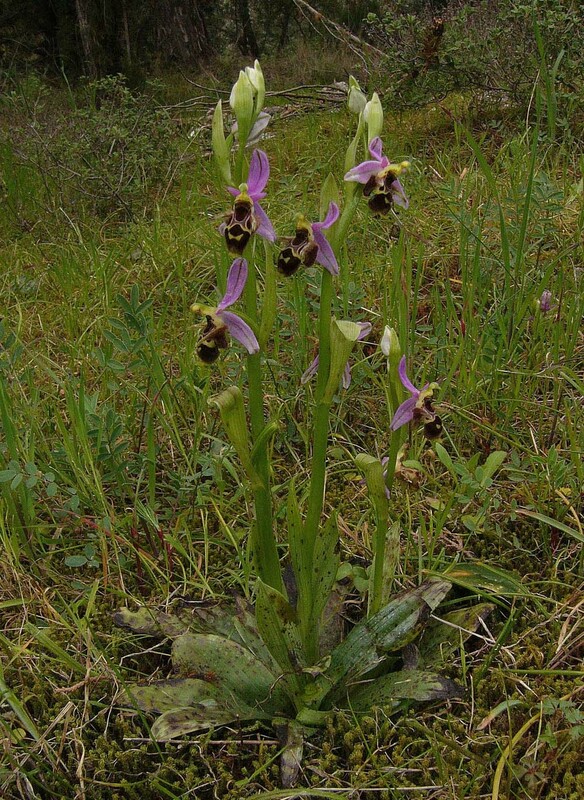 This orchid is endemic to Greece but its exact distribution limits are not known with any great accuracy due to its close resemblance to both O. sepoides and O. crassicornis which share range and habitat preferences. It is however known with certainty that large populations occur in eastern Greece, notably Attica and around Athens where one of its strongholds is Mount Hymettus on the outskirts of the city itself. Healthy numbers also occur in the central islands of the Cyclades but as far as is known, not elsewhere in the Aegean archipelago. 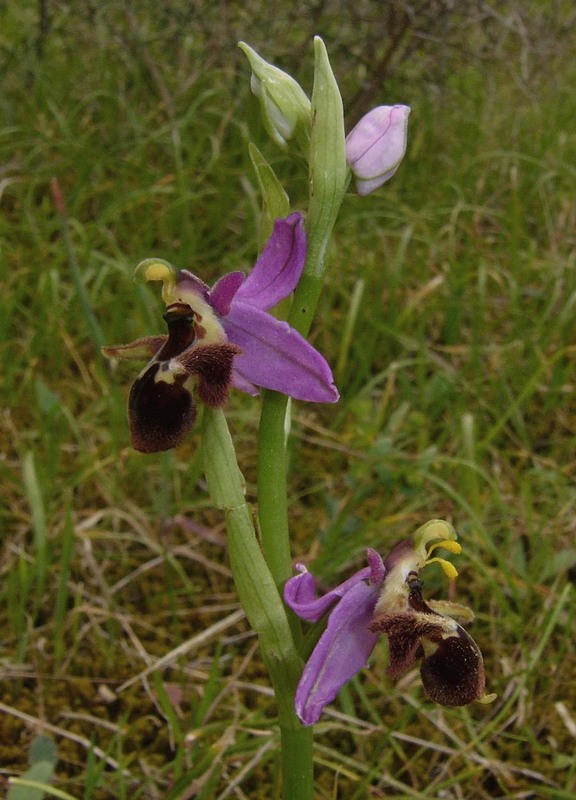 As with O. heldreichii, this is a large flowered, robust orchid that although localized, can be abundant in its favoured locations. O. schlechteriana prefers a position in full sun on alkaline soils and is fairly intolerant of any conditions outside these parameters, shaded situations are always avoided. Unlike most other members of its grouping, the lateral lobes (horns) are well developed and can be up to 10mm long in some cases. 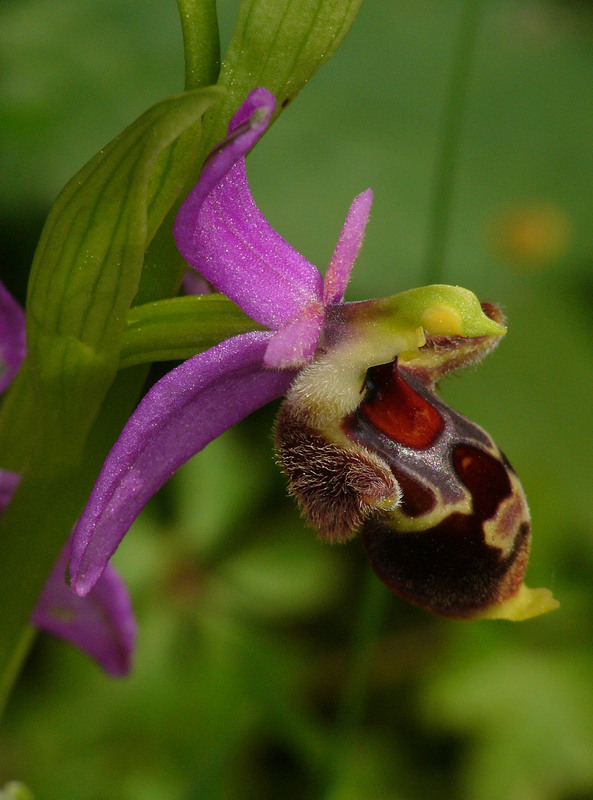 This lobe elongation produces a flower that closely resembles several members of the O. oestrifera group and although O. crassicornis, O. cornutula and O. cerastes can be identified by their smaller size, O. sepoides being a more robust species can present difficulties with differentiation. O. schlechteriana is at its best from April to May, producing up to ten individual flowers on a tall spike that can reach to 50 cms. The photographs here come from Mount Hymettus, near Athens and date from the beginning of May at which time they had only just started to appear.